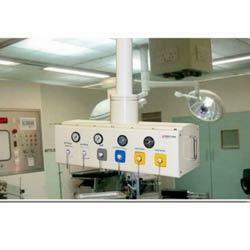 We are instrumental in providing a wide range of OT Pendants that is widely used for operating theaters & ICU. Attributes of these surgical pendants are durability, efficiency and cost effectiveness. They can be movable or fixed pendants. All surfaces are sealed and hygienically smooth as well as being robust and infection resistant. They are available in customized forms as per the requirements of the clients. We are exporter and retailers of Fixed Pendant broadly finds applications in hospitals and operation theaters for providing comfort for anesthetic, surgery and monitoring purposes to patient in operation theaters. We manufacture these fixed pendant using optimum quality raw materials based on advanced techniques and latest technology in comply with the quality standards. These fixed pendants clients can avail from us at reasonable price. We wholesale and fabricate this Movable Pendant using supreme quality raw materials based on well-developed techniques and innovative technology, which meets the quality of national as well as international medical standards and norms. These movable pendants are highly acclaimed for their significant feature such as convenient to move anywhere, durable, strong and excellent in performance. 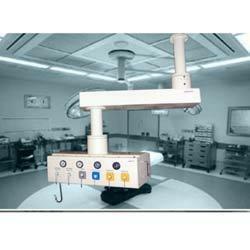 These movable pendants are extensively used in operation theaters for doing operation or surgery and monitoring purpose. These products clients can avail from us at affordable price. Looking for OT Pendants ?